We as homeschooling moms often suffer from a common and contagious disease. I call it the Shiny-New-Curriculum Syndrome. Homeschool conventions seem to be one hot-spot for this virus, but don’t let your guard down while scrolling through social media, either. The symptoms: eyes widen bigger than our bank account, a deep dissatisfaction with what we already own begins to settle within us, and we find we don’t even want to finish it. We see and hear about a new curriculum or resource and we want it. True, sometimes change is necessary for our children. 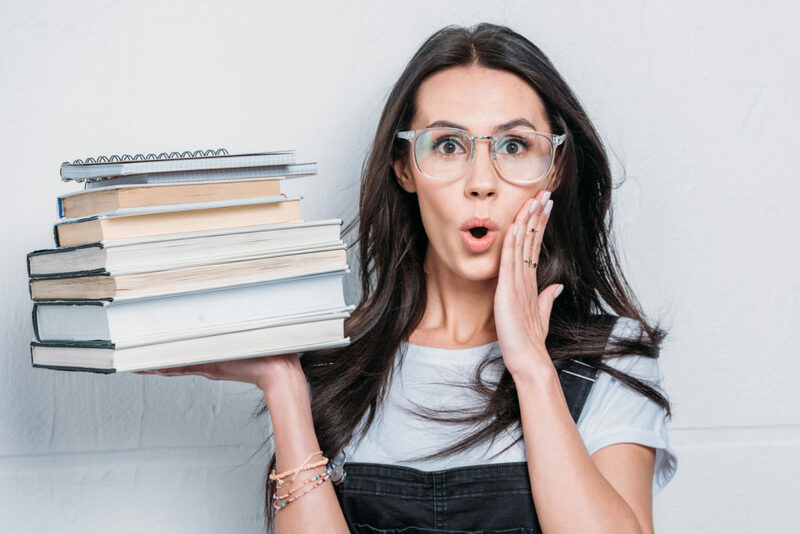 But other times our desire for change is based on the belief that “If I just had __________(fill in the blank), then our homeschool would be perfect.” After years of a deep and abiding love-affair with curriculum I can tell you that the perfect homeschool curriculum isn’t just elusive. It simply doesn’t exist. Yes, some curriculum is better than others (and we definitely have our personal favorites), but our children are individuals. And because of that we must teach the child, not the curriculum. Curriculum is a guide, a tool, a blessing. However, take ownership in the fact that YOU are the teacher. You know your children and you have access to the One who knows them best of all. So before you leave your present-curriculum-love, let me encourage you to practice the art of adaptation. It’s the absolute best medicine for Shiny-New-Curriculum Syndrome. modify, alter, change, adjust, readjust, convert, redesign, restyle, refashion, remodel, reshape, revamp, rework, rejig, redo, reconstruct, reorganize; customize, tailor; improve, amend, refine, tweak. We can do that! Why don’t we give ourselves a little educational freedom, consider our students needs over state standards, and adapt? Sometimes simple changes are the best. 1. Adapt to their learning styles. Students who are visual learners need to see the information presented. They love things like visual aides, information organized in charts and graphs, and watching demonstrations. Auditory learners learn by hearing. They enjoy discussions, audio books, and music. And kinesthetic learners move. They play sports and dance and do. Most students learn in a variety of ways, but when you understand your children’s learning styles you will have a special tool to use when learning is tough or your children aren’t connecting to the way a curriculum teaches. So go ahead and read the instructions aloud to your auditory leaner, encourage your visual learner to take the information presented in the text and make a graphic organizer from it, and let your kinesthetic learner jump on a trampoline as they recite their spelling words. 2. Adapt to their developmental stages. Sometimes it isn’t the curriculum that is the problem, but just the fact that your children aren’t ready for it. Often if children are resistant to certain subjects and it isn’t an overall characteristic (example, they cry at doing math but happily do anything else you ask including chores), they may just not be ready for it. This can even be true for teens. Students who wait an extra year before starting algebra often don’t struggle with it as much because mathematical thinking is developmental. It is important to know that when a child is ready is not an indicator of intelligence. Readiness, not age, plays the biggest role in student success. So get out the manipulatives for your younger learners to work math problems. Don’t push children who aren’t ready to learn to read yet. (But do continue to read aloud to them and create a language-rich environment.) And if you have to, simply put it aside for a while and use it later. 3. Adapt to their personalities and intersts. Are your children introverts or extroverts? Do they remember details, or get distracted by every little thing? Do you have natural leaders or ones who are happy following? Are your children most comfortable on the stage, or quietly sitting in the back? Take advantage of those things that make your children who they are! Your curriculum may tell you to give a test at the end of a unit, but you can have your drama enthusiast do a presentation for the whole family to enjoy. Allow your lego fan to build historical scenes based on what you’ve learned. And encourage your high schooler to write a blog instead of keeping a journal. The possibilities truly are endless. 4. Adapt to their attention span. So consider the time of day your students concentrate best and do the subjects they dislike the most during that time. Or just have them eat that frog and get it over with early. Also have your students use a timer set for a shorter time in the beginning when you expect concentrated effort. Then slowly increase the amount of time as concentration improves. 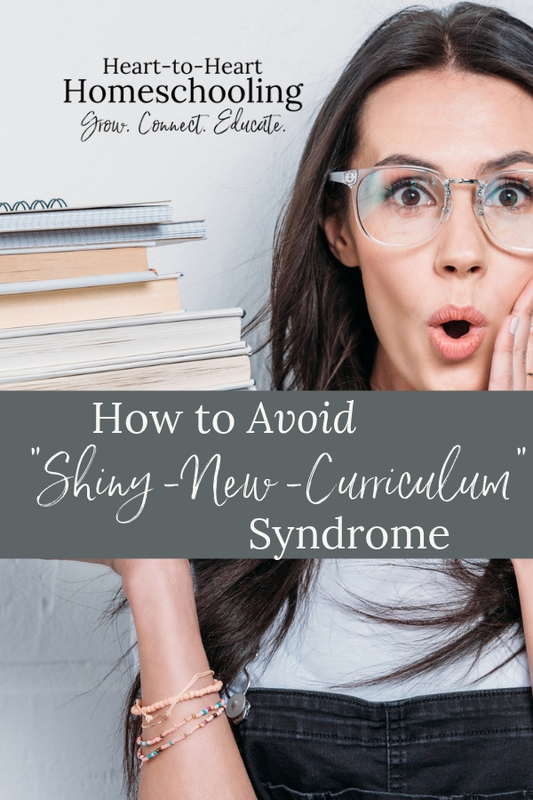 You don’t have to succumb to Shiny-New-Curriculum Syndrome. Instead, try the best medicine: adapt the curriculum to your children. There may not be a perfect curriculum, but when you realize it’s your children you are teaching and not the curriculum itself, you can make it perfect for your family. To find more practical tips on how to adapt curriculum, check out, Simple Ways to “Bend the Book” to Your Child at Encouraging Moms At Home. Love it! Sometimes too, we don’t understand the program or curriculum fully and need to train ourselves on how to implement the material better. Or we missed a teaching tool that would make it all easier (I found this math curriculum). Yes the shiny new curriculum can be alluring, but learning how to teach the material better can also make using it, easier! Yes it can 🙂 Great points, Sonja!